“God opposes the proud and gives grace to the humble”. In chapter 4:1-12, James like an expert surgeon cuts through our selfish desires to reveal that our true problem is a heart that desires other things more than God. Then graciously he points us to the cure: the grace of God. James will not let us know the sweetness of grace until we have tasted the bitterness of our own sin. 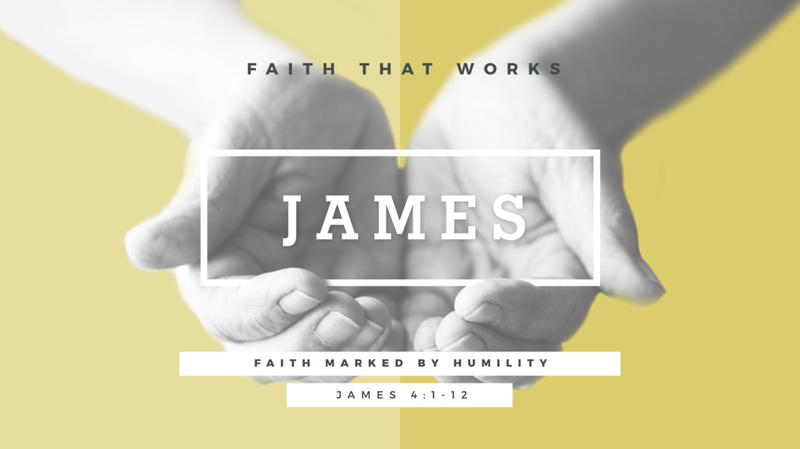 In all of this James shows us that true faith is marked by humility.